A concoction of lemonade, strawberries, apples and mangoes, ready to pleasantly surprise your taste buds. 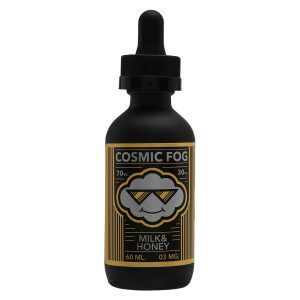 Cosmic Fog's "The Shocker" guarantees you a pleasant jolt to break the monotony in your life. This smooth and yet electrifying liquid will make your senses come alive. The concoction of lemonade, strawberries, apples and mangoes is a must try. Crafted in California, USA. I would recommend this to first time/new users. A very innovative and different kind of flavor, for people who like to try new things in life..